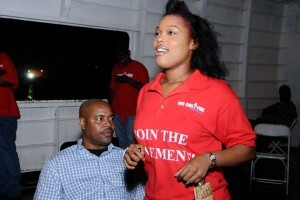 Minnis quickly organizes FNM Party as huge inflows of Youth and Women voters join the party! 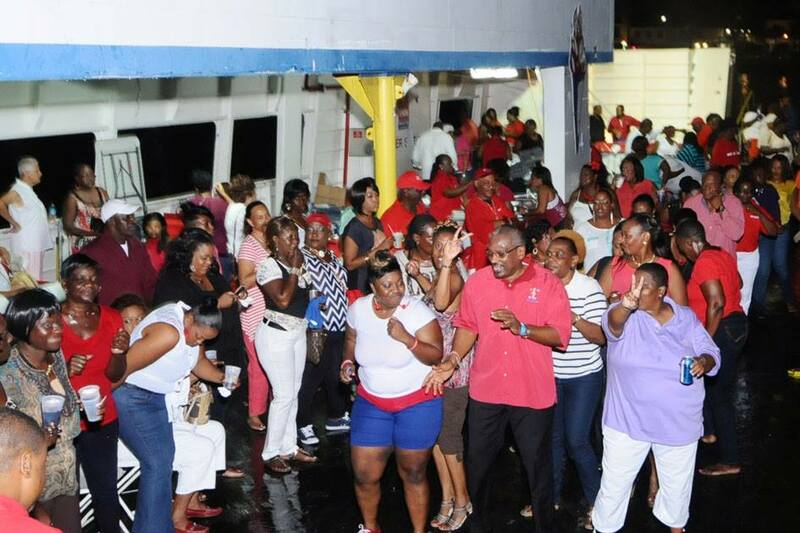 Mega FNM Boat Cruise Organized by Minnis was the largest ever in the Party’s History – Minnis is in it to WIN IT! POLITICS anywhere is a grimy, gritty business that is full of deceit and hypocrisy. 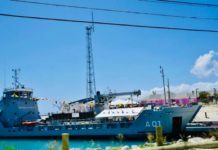 The Bahamas is no exception as can be seen with the constant bickering and in-fighting between factions in the Free National Movement. Since Dr Hubert Minnis’ ascension to the FNM’s leadership on May 26, 2012, he has been clobbered, although he was/is the FNM’s best choice for leader in a party where the leadership cupboard—in a post Hubert Ingraham era—is pretty bare and the pickings are slim. For Minnis, it has been an uphill battle as he seeks to win over the hearts and minds of FNMs—long comfortable with the leadership styling’s of another Hubert. In the 13 months since he has been at the fore, a number of descriptions have been used to describe Minnis’ tenure, ranging from “fairly good for a leader just getting his feet wet”, “satisfactory”, “lackluster” to “solidly mediocre.” He has personally been described as “charming”, “meticulously prepared”, “boring and uncharismatic”, “slow-footed”, “a lame duck” and so on. Amidst obvious anti-FNM sentiment, Minnis set about salvaging the remnants of an understandably broken party, demoralized and deeply frustrated by two crushing defeats in 2012. It seems that the FNM is still waiting for superman, entrapped in their jingoistic adoration of former Prime Minister Hubert Ingraham—the nation’s best PM so far—and seemingly unwilling to wholly embrace, instead choosing to engage in a sort of political mortal combat that undermines Minnis and hampers his chances of becoming Prime Minister. Indeed, some factions in his party have made Minnis their favourite political target—more so than the governing and other opposing parties. The conduct of certain professed FNMs towards their leader is enough to test the patience of a congregation of saints. Observably, Dr Minnis has been slow out of the blocks, becoming more active and gaining speed in the last six months. On a weekly basis, his critics engage in hair-splitting and handwringing, basic fault-finding and oftentimes malicious assessments, whilst referring to him as a listless guy and engaging in whine-athons for which there appears to be no clear winner. Daily, Minnis’ bashers psychoanalyse, mock and diagnose him. 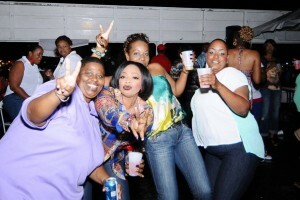 Women voters flock to FNM event over the weekend - MInnis is on a surge. Indeed, there are those who also say that Dr Minnis is irreducibly complex, cold and unexpressive sometimes and then, on other occasions, warm and connecting. 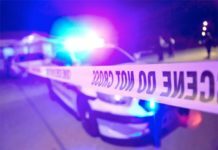 Some interviewees have shared their belief that he doesn’t appear to possess the natural disposition to feel someone’s pain, instead seeming standoffish and shy. Several interviewees have stated that he must become more creative in the way that he addresses problems. 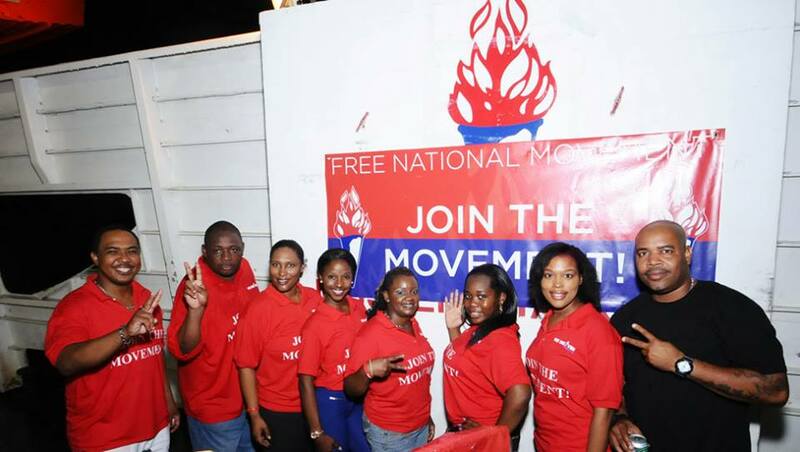 So far, it also appears that the FNM has merely been maintaining the status quo as there is no concerted thrust relative to corralling the party’s public relations using a multipronged platform, fundraising and wider recruitment exercises. 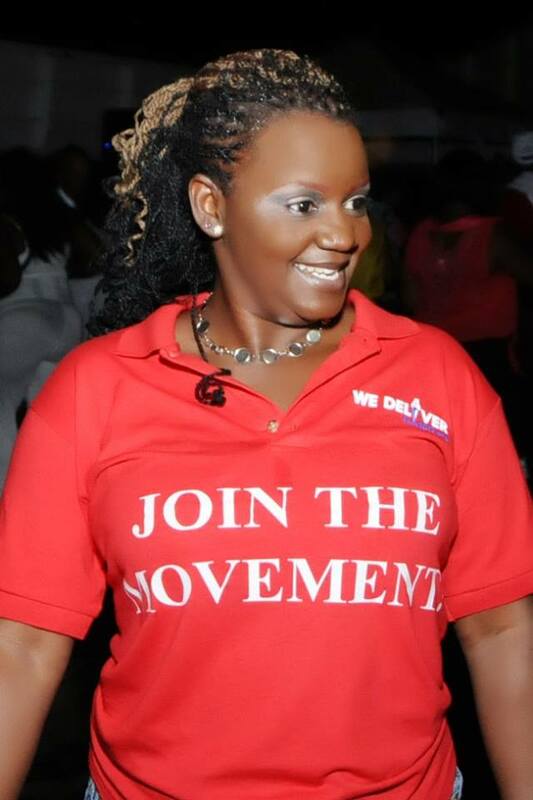 If the FNM wishes to connect with the masses, there must be a concerted thrust relative to the party’s public relations and, at present, there’s much that could be done. Of late, there have been harsh criticisms about the failure to maintain an up-to-date website and a consistent social media presence. Dr Minnis has to establish his agenda for the public and put together a “trust team” that helps him carry out his mandate. 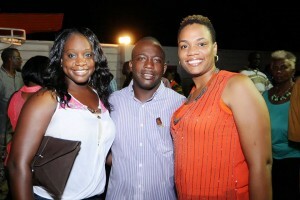 Youthful supports attracted to Dr. Hubert Minnis. On a positive note, Hubert Minnis has seemingly begun the process towards unifying an already fractured FNM party. He managed to put in place a structured executive and, notwithstanding the diminutive size of the Parliamentary caucus, the Opposition has kept the governing party’s feet to the fire and pointed out a number of glaring inconsistencies, contradictions and errors. Indeed, the walkabouts, boat cruises, Family Island trips and the doctor’s proficient use of email blasting have all been palpable. Plusses indeed! I have had an opportunity to interact with Dr Minnis and one would posit that he is an introvert. Unlike extroverts, introverts more readily open up to close friends, are private and guarded in their choice of words and in their actions. It is perhaps due to this aspect of his personality why he seems shy and why some folks may misconceive him as being emotionally flat and encased in armor. That said, he is also quite relatable and has an ability to gauge and adjust, adapting to different circumstances and finding ways to connect with his audiences (what I call the feeler skill). Quite honestly, if one was to interact with the Opposition Leader, they would discover his wit, dry humour and seemingly down-to-earth persona (someone who one could have a beer with, as they say in the States). 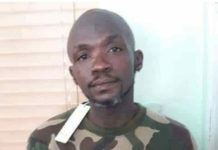 He also has a generous streak, paying the tuition of the his nieces, nephews and some less fortunate constituents as they study in universities abroad, quietly engaging in philanthropic work, etc. The doctor must show this side of himself more often as one believes that the public would be amped up by his ability to connect with the average, everyday man/woman. By all accounts, Dr Minnis is of a moderate temperament and, according to him, he sees himself as a reformer and one who strives to transcend party lines in uniting Bahamians. He sees himself as a thoughtful unifier, rather than a politician who masters the skill of delivering rousing rhetoric, mastering the theatrics and dramatizations and/or merely polarizing the masses. 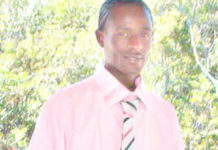 He is the Bahamas’ version of No Drama Obama—“No Drama Minnis”. Whilst he has not become a rock star politician, there are instances where I’ve watched and heard of him coming alive on the campaign trail and he appears to show a fondness for discussing ideas, listening and fleshing out his thoughts. 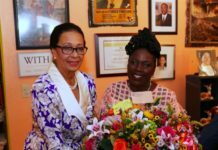 I am aware that Dr Minnis has been crisscrossing the islands on a listening tour, rallying the FNM’s base, bringing in new supporters and seeking to relaunch branches and various constituency associations. Further, I thought that the decision to wear national colours rather than the FNM’s red regalia on Labour Day was a welcomed change. Nationally, his stock appears to be steadily on the rise. 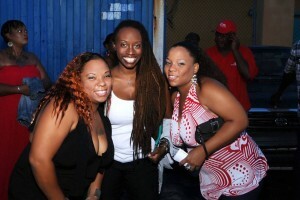 One is inclined to believe that Dr Minnis has a genuine interest in young people. Hubert Minnis has an interesting “human interest” story, one of dogged dedication, smarts and ambition, extreme self-discipline and movement up the socio-economic ladder. Female vote is significant and is gathering around Minnis. Dr Minnis hails from humble origins, was born in Bain Town and raised in a single parent home. According to the Opposition leader, he “began working from day one” at his father’s service station, selling newspapers (The Tribune, Nassau Guardian and Bahamian Times) and working several other odd jobs. He began to develop his business acumen as a young boy. “I bought 30 papers every morning and sold them before school. In the evenings, I did the same with The Tribune (when The Tribune was an evening publication). I made five cents profit of each paper,” Dr Minnis recalled. As a young entrepreneur, Dr Minnis recalled how his mother encouraged him to save his money, and later on, the value of effective investments. His mother, a dressmaker and lunch lady, was only educated to grade six but her rationale on life greatly fostered the evolution of the FNM’s leader. “Mom always told me that real estate was the way to go, teaching me to invest in apartments and condominiums to generate a return rather than just getting a house, which she saw as ‘dead money’,” he said. Dr Minnis, a self-starter, adhered to his mother’s advice and while heavily concentrating on acquiring and developing property, has capitalized on his blue collar upbringing and has overcome and defied the odds to become a genuine Bahamian success story. “When I attended SAC, I wanted to drop-out in form three. There was lots of employment and the tuition was only $70 a semester. However, I didn’t feel we could afford that, but my mom encouraged me to stay because she wanted me to be her first child to go to college,” he said, recalling that most memorable occasion. Hubert Minnis said that he has observed distinct differences between first-world and third-world politics. The doctor espouses the belief that candidates seeking to represent communities should not have personal financial constraints, this having caused him to have placed an emphasis on securing his financial independence before entering politics. Frankly, contrary to the approach Dr Minnis took to political service, Bahamians have heard countless stories of politicians who are corrupt, who merely see politics as a means to amass wealth, a road to riches. “I’ve been fortunate that nearly every investment I’ve touched has worked. I haven’t had much failures and I’ve had other investments to buffer them,” he said. Dr Minnis’ rags to riches story of struggle and success can be likened to Hubert Ingraham’s story of triumph over life’s adversities. In 2013, will he be ambushed and have the leadership door slammed in his face? 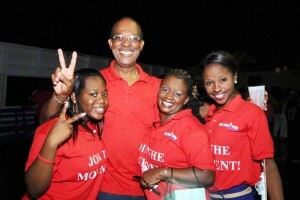 Will Minnis survive the votes of the swarms of delegates stampeding across the convention floor next year? Frankly, I believe that he would and it would be a mammoth misjudgment for anyone to underestimate him. He has the aptitude, toughness and enthusiasm to win a runoff and lead the party into the 2017 general election. There is much to be done to foster the party’s growth, harmony and to properly disseminate the party’s message. In order for the FNM to win the 2017 general election, they must come together to solve problems as opposed to cynically relying on them for short term, political advantage. One waits to see what happens in year two of Dr Minnis’ tenure…..